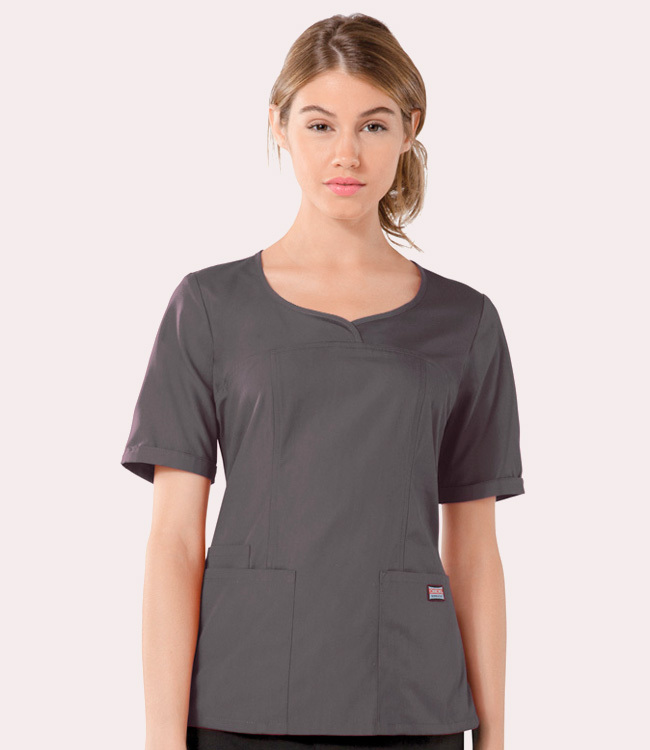 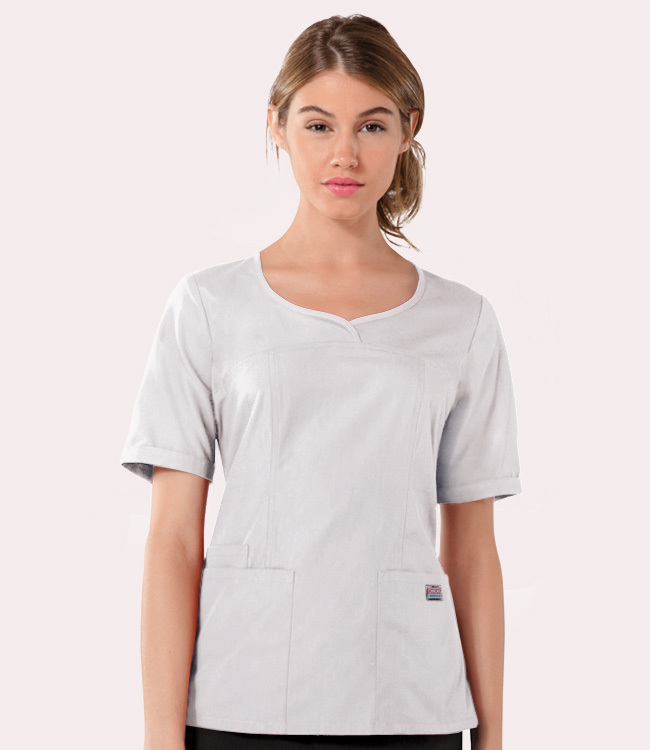 A bias crossed v-neck features a slightly curved front yoke, front princess seams, front patch pockets, cell phone pocket, elbow length sleeves with notched turn back cuff, 1/2 back elastic and side vents. Center back length 26?. Poly/Cotton Poplin with Soil Release.